A Chapter 7 bankruptcy is generally for lower income people who need to get a fresh start quickly so they can start rebuilding their lives. If creditors are paid anything in a Chapter 7, it is from the liquidation of assets or selling some of the debtors property right away to pay at least part of the debt back. A trustee is appointed to take these assets, sell them and divide the money evenly among creditors. Sometimes the trustee can go back in time to undo payments of debt or transfers of property, recover the money, and pay that to creditors if the laws says that would be fair. However, it is fairly rare for property to be sold or for transactions to be undone and creditors do not receive anything. At least they know where they stand because they would have been unlikely to receive anything without bankruptcy anyway and, if they did, only the most aggressive creditors would receive some of what they are owed at the expense of great financial hardship to the debtor. Most property is not taken in a Chapter 7 because the law defines it as exempt from liquidation. Debtors are allowed to keep their necessities as a part of the fresh start bankruptcy provides. In Washington, a debtor can choose between federal or state exemptions (but they must choose one or the other). In some situations, it makes more sense to choose Washington’s exemptions, in some it makes more sense to choose the federal exemptions. Most people who file a Chapter 7 only have to attend one hearing called a meeting of creditors. This hearing is very informal but very important to the process. Creditors rarely appear. The debtor and his attorney meets with the trustee and is sworn in to testify about the bankruptcy documents filed in the case. 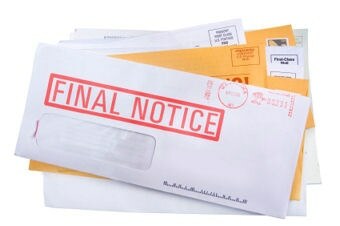 The debtor must file a list of property, debts, income and assets with the bankruptcy court. The debtor also provides pay stubs, bank statements and tax returns to the trustee. At the meeting of creditors, the trustee looks over all these documents and asks follow up questions to get additional information in person, make sure the debtor is telling the truth, make sure the laws are being followed and investigate assets. The whole Chapter 7 process usually only lasts about three months. At the end of the case, the debtor receives a discharge. The discharge basically cancels debt by making it illegal for a creditor to try to collect them ever again. The Chapter 7 is reported for 10 years on a credit report. Some debt, such as student loans, some back taxes, spousal maintenance, child support and fines are not discharged. If a debtor wants to keep property they are making payments on, such as a car or a house, this can be done if the debtor can keep making the payments. Because a Chapter 7 is so easy, a debtor who files Chapter 7 must show they are not abusing the system by filing a means test. The means tests measure the average of the last six months income. If this income is higher than the average income for a household the debtor’s size, they must show that they still have no money in their budget to pay debts by deducting expenses on the means test. Some expenses are what the debtor actually spends, such as car payments, mortgage payments, child support, day care and health insurance. Some expenses come from an IRS table that is set by regulations, such as food, clothes, transportation and rent. Because the means test is imperfect, a debtor can still show their special circumstances make it impossible to pay back any debt. The means test is just a jumping off point to determine whether the debtor is abusing the bankruptcy system by filing a Chapter 7. If the means test shows some money in the budget to pay at least some of the debt, the debtor may have to file a Chapter 13 repayment plan.